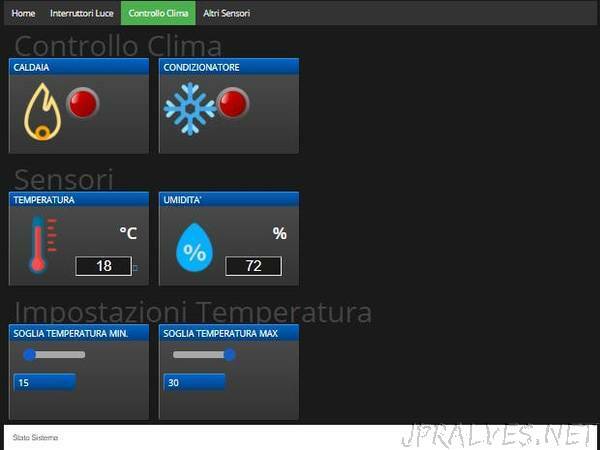 “In this project we will see how it is possible to create an interactive web page with Arduino Yun, to control and monitor different devices. In this project we will see how it is possible to create an interactive web page with Arduino Yun, to control and monitor different devices at home. The web page is updated with a delay of about 3 seconds, automatically, both when you perform some direct action (for example when you press the switches on the web page) and if something happens on the hardware side.